Today, at 4:00 p.m., the winner of the Miss World pegeant contest has been announced. The crown this time finally went to the winner if Miss mexico Vanessa Ponce De Leon. She is considered as the first Mexican girl to win the crown. The event was shown live on the television and took place at Sanya City Arena in China. 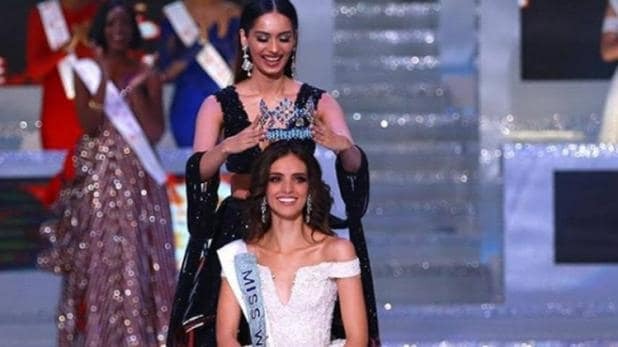 Manushi Chhillar, the winner of Miss World 2017 from India, crowned Vanessa Ponce as Miss World 2018. Vanessa Ponce was born on March 7, 1992 and brought up in the city of Guanajuato in Mexico. She was the winner of Miss World Mexico 2018 and was crowned on May 5, 2018. She was working for a school in Guanajuato where she provides intercultural education to children from indigenous tribes. She is a full time model with a height of 174 cm. Vanessa completed her degree of International Commerce from the University of Guanajuato. Apart from being a model, she is passionate at playing volleyball and also in painting. India was not successful this time to achieve the crown as Miss India 2018, Anukreethy Vas was swept out of the contest of Miss World 2018. She is a 20-year-old student from Tamil Nadu, somehow managed to be in top 30 but was not able to reach to the finale and failed to be in top 12. The top 5 contestents of the show were: Miss World Europe – Maria Vasilevich from Belarus, Miss World Caribbean – Kadijah Robinson from Jamaica, Miss World Africa – Quiin Abenakyo from Uganda, Miss World Asia Oceania – Nicolene Pichapa Limsnukan from Thailand and Miss World Americas – Vanessa Ponce De Leon (Mexico). On the year 2017, the crown of Miss World was won by Manushi Chhillar who was responsible to bring it on India. Manushi was born on 14 May 1997, in Haryana and was also a student of Bhagat Phool Singh Medical College. She brought the crown home after 17 years. Before the it was won by Priyanka Chopra on the year 2000. Aishwariya Rai also won the crown of Miss World for India before her on the year 1994. This year India expected Anukreethy Vas, the winner of Miss India 2018 to be the winner.